Our mines use the in situ process, which creates a much smaller environmental footprint. Protecting the environment is a top priority at all of Cameco's operations. The in situ method of mining used here helps us do that. At our mines in Nebraska and Wyoming, there is no blasting, no waste rock and no open pits. The ore is accessed through well fields. 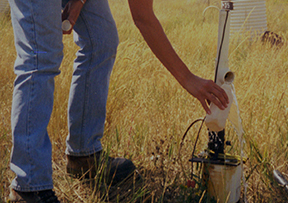 Groundwater is carefully controlled and monitored. Top soil is preserved. The water is restored and land reclaimed so that when we are done mining the prairie is returned to its natural state. ISR mining accounts for over 45% of the world’s uranium production. Most US uranium mines use this method. 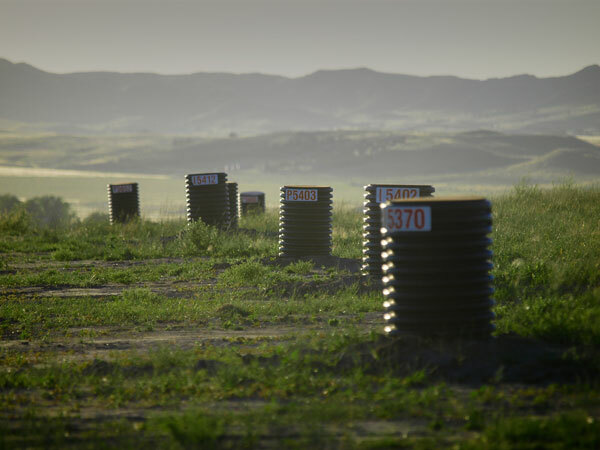 Within our mine permit areas, we have hundreds of monitor wells surrounding the ore zones. Tens of thousands of water samples are tested every year to assure we are managing and protecting groundwater. We monitor the air and soil, as well, to assure the health and safety of our employees and the public. Cameco Resources maintains surety bonds to assure that, no matter what, restoration and reclamation of mining areas will be completed. Even as we are mining we begin the restoration and reclamation process. Grasses and other native vegetation is planted in areas we’ve developed. When we are finished mining, we will assure the water is clean and all our facilities removed. The nuclear industry is one of the most highly regulated industries in the world with licensing requirements for construction, operation and decommissioning of all facilities. Cameco works with regulators to ensure the health and safety of the public and employees – and to protect the environment. Our environmental and safety performance is closely monitored and regulated by federal, state and local authorities.